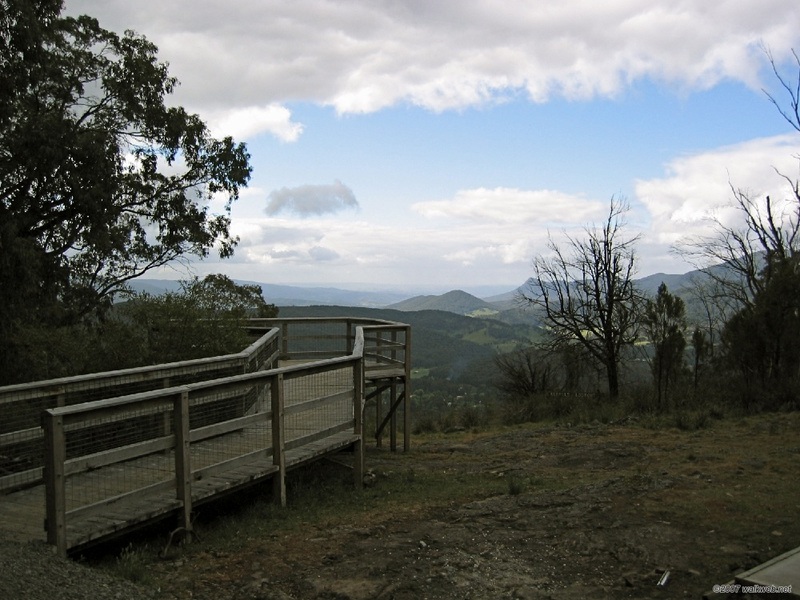 This enjoyable circular walk takes in Blowhard Summit in the Lake Eildon National Park, providing superb 360 degree views, and finishes with a pleasant walk alongside Lake Eildon. The trail starts at the Wallaby Bay carpark. Follow the dirt road back up to Merlo Lookout. After admiring the view across the lake from this point, cross the road to access the signposted foot track up to Blowhard Summit. This section is fairly short but steep in places. 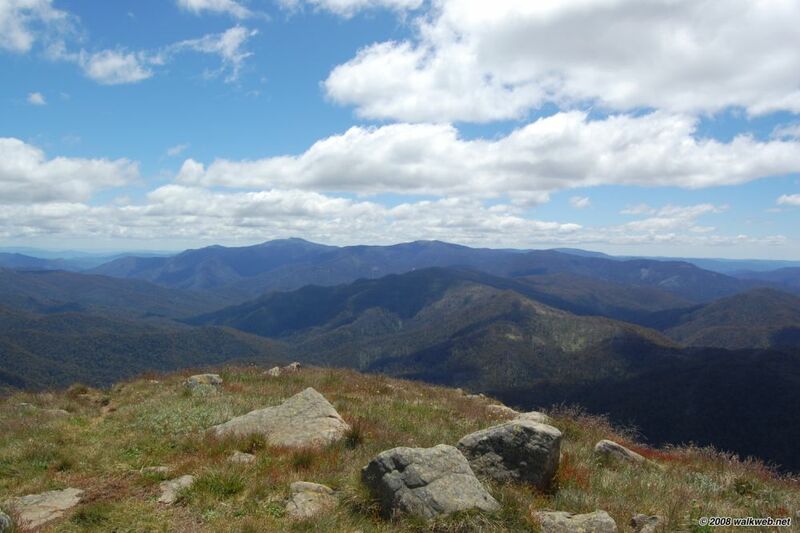 The views from Blowhard Summit are excellent, including a fine prospect down Blowhard Spur to Lake Eildon and a good view of Mt Buller to the East. From here, ignore the track down Blowhard Spur and instead continue north-east along an obvious old vehicular track. The track dips steeply into a saddle (take care on this section as the loose gravel makes it a bit ‘slippery’) and then climbs again to a high point and track junction. Take the sign-posted Devass Gully Track which descends north-east along the spur by the side of Devass Gully before reaching a track t-junction. Turn right (east) here towards School point along a vehicular track. 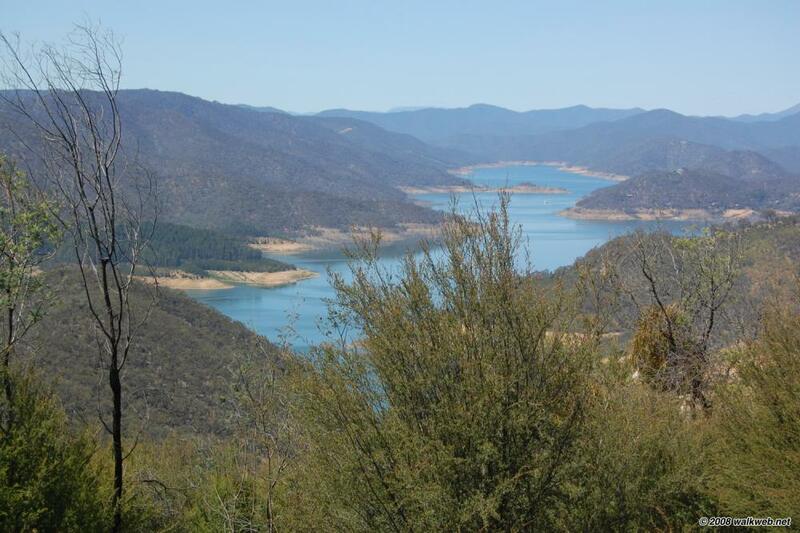 After School point is reached the trail becomes a footpath (Wallaby Bay Track) which follows the forested shore of Lake Eildon – or at least what was the shore – the extended drought means the waterline has receded dramatically. After crossing a footbridge at Lightwood Inlet the path becomes a little indistinct – follow the orange triangle trail markers – before again becoming clear and continuing for another 4km or so past Italian Bay and Cook Point back to Wallaby Bay carpark. Access: Goulburn Valley Highway to Alexandra – this road can be accessed from the Hume Fwy, Melba Hwy or Maroondah Hwy. A turn-off to the park is reached a few kilometres after passing through Alexandra. Follow this road to a roundabout, turning left downhill towards the park entrance. At Fraser store continue straight on (ignoring the right hand turn) past the Fraser area campsites to reach Wallaby Bay carpark. 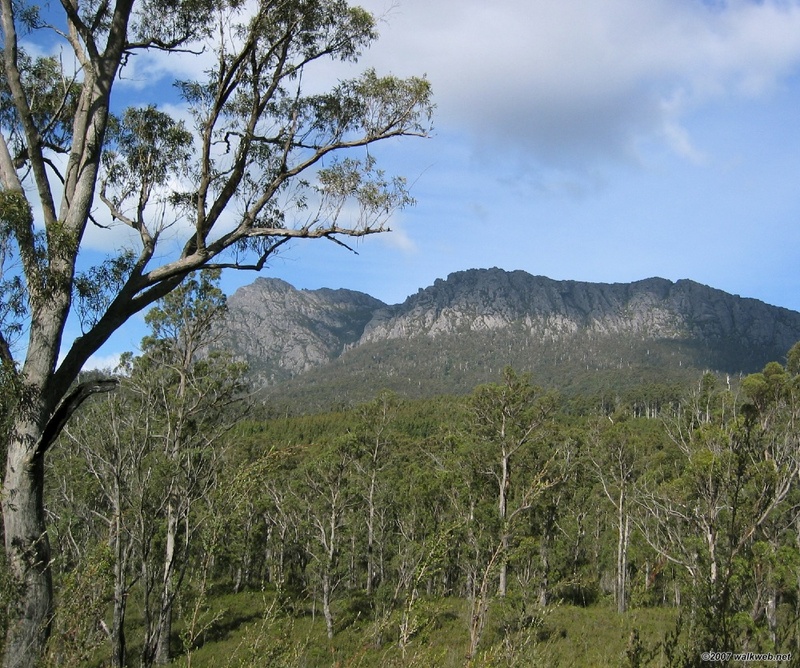 We chose this walk primarily because it was on the way to our ultimate destination (we had flown in to Devonport and were travelling to Cradle Mountain). As a result, we were very pleased when it turned out to be a very enjoyable walk in its own right. The nearest town is Sheffield; the start of the walk is accessed from the C136 road which turns off the B14 just outside Sheffield. 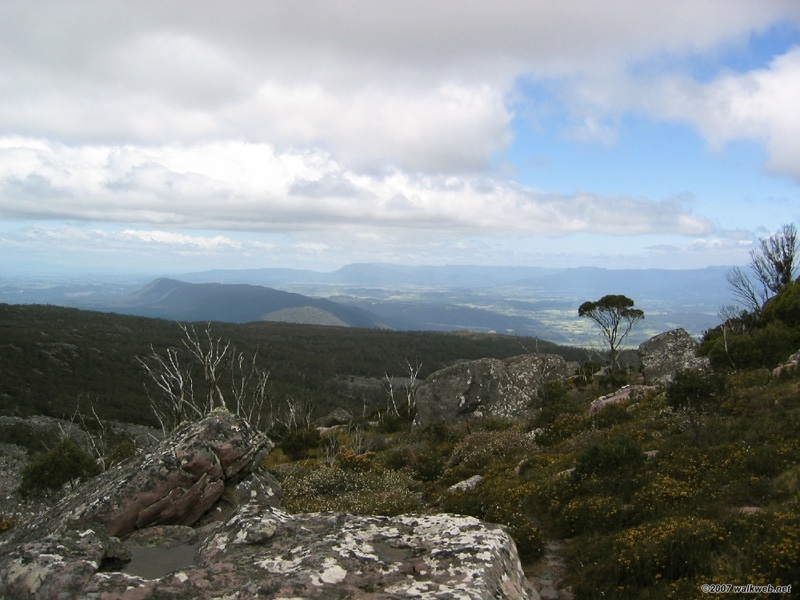 We used the detailed route description in “Day Walks Tasmania” (a guide book that I can recommend). 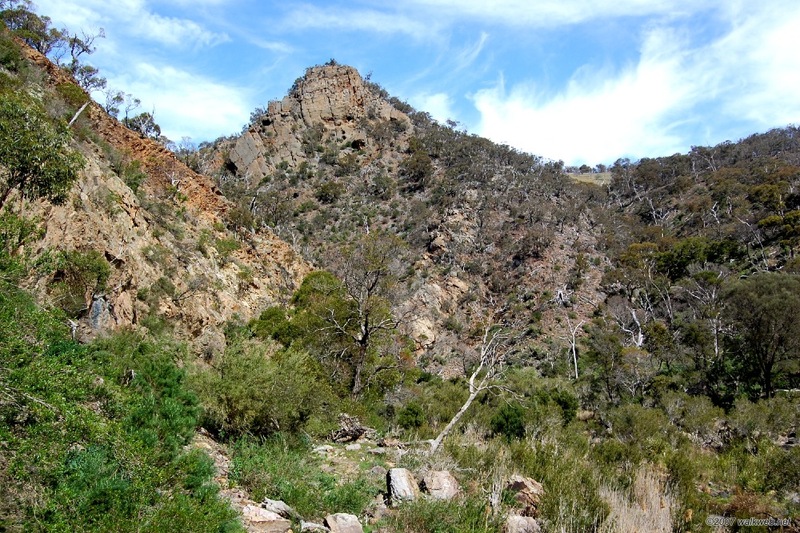 A surprisingly rugged walk less than 70km from the Melbourne CBD, this circuit of Werribee Gorge provides an excellent day’s outing. 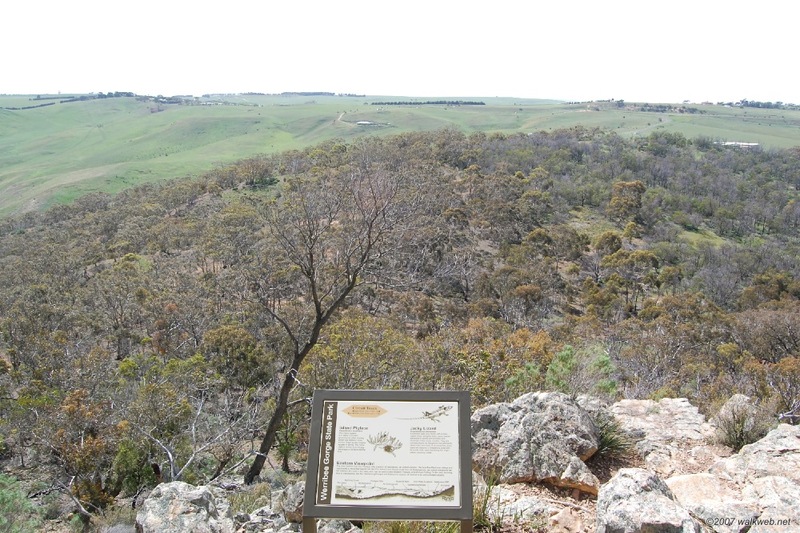 Werribee Gorge State Park is reached via the Western Freeway from Melbourne. To access the park, take the Pentland Hills Road exit, turning right under the freeway and then immediately left to follow the old alignment of the Western Highway (with the Western Freeway to your left). The road soon dips back under the freeway, turn left immediately thereafter onto Myers Road which leads to the park entrance. 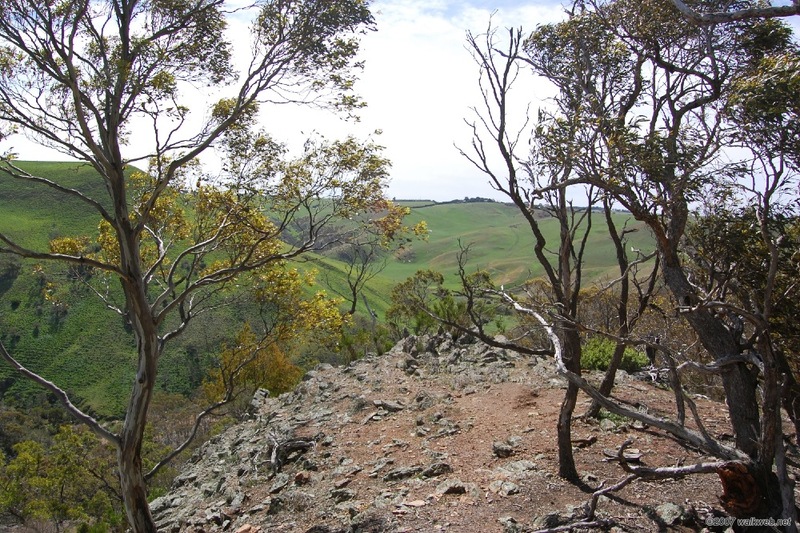 The walk can be commenced at either the Quarry Picnic area or down a rather steep gravel road (accessible by 2wd vehicles with care) to the Meikles Point Picnic Area (which is where I started). I’d recommend travelling anti-clockwise to get the climb over with first. 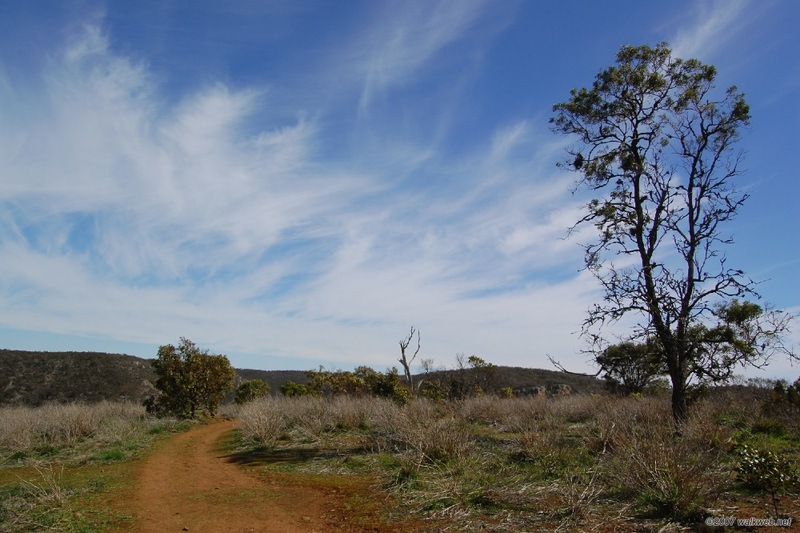 From Meikles Point Picnic Area, the track ascends a few steps to a toilet block and then follows an old vehicle track before dropping left and reaching Myers Road and then the Quarry Picnic Area. From here a signposted old vehicular track ascends through scrub to a junction with the short circuit walk, then passes a side track to Eastern viewpoint (worth a visit), passes Picnic Point before descending to Western viewpoint and then steeply descending to the bottom of the Gorge at Blackwood Pool. At this point the track turns sharply to the South following the edge of the Werribee River (note that the track always stays at the north side of the river, the line on the Parks Victoria parks notes that the track appears to cross is the old viaduct). 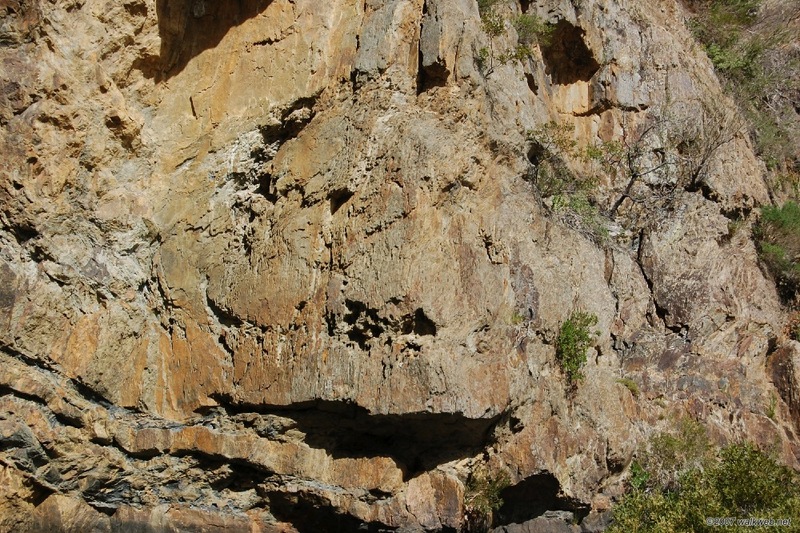 This section requires some rock scrambling; one rather tricky section of rocky bluff now has a wire rope attached to assist. On this part of the walk you will pass the attractive NeedlesBeach (a nice place for a break), Lions Head Beach (if you look at the rock opposite – see photo below – you can sort of make out a lion’s face) and Pyramid Rock (aptly named). Eventually, the track reaches the route of the old viaduct and becomes a well formed trail back to Meikles Point. Note: Care needs to be taken on this walk as some rock scrambling is required. This walk is not one to do in the wet, rain will make the rocks slippery and the river could rise rapidly, leaving you stranded. 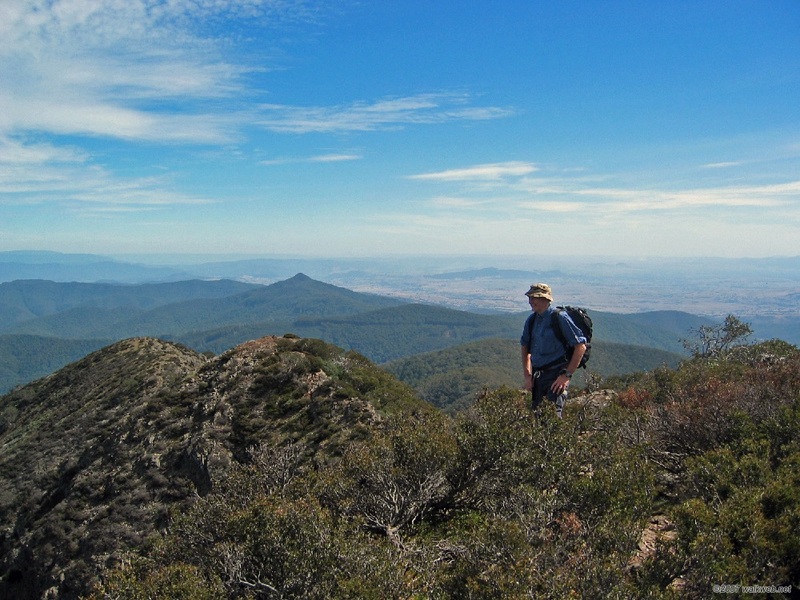 Mt Buller stands at 1805m, and an approach to the summit via the West Ridge makes for an excellent days walking with great views. 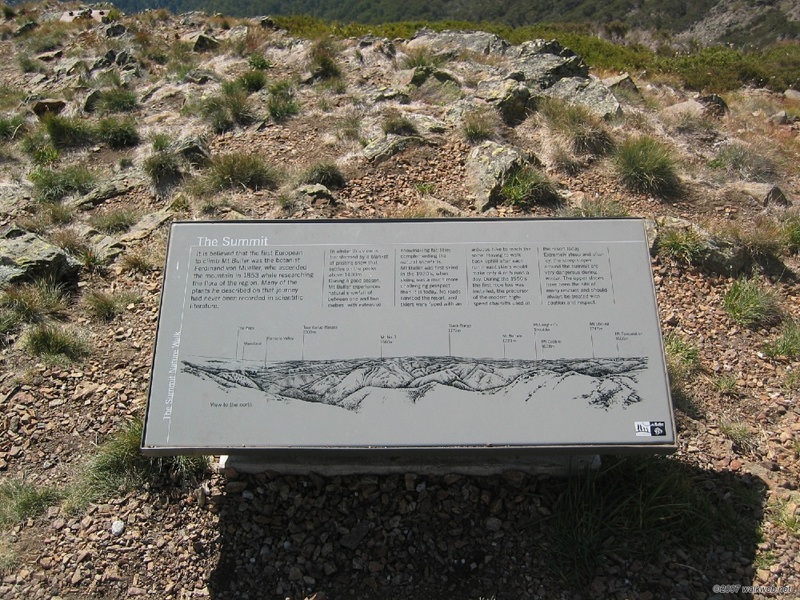 The only (minor) drawback is that Mt Buller is also a major ski resort, so the actual summit itself is a bit of an anti-climax, with a road almost to the top – so getting there is most of the fun, and the approach from the west ‘hides’ most of the ski resort development until you are almost at the top. 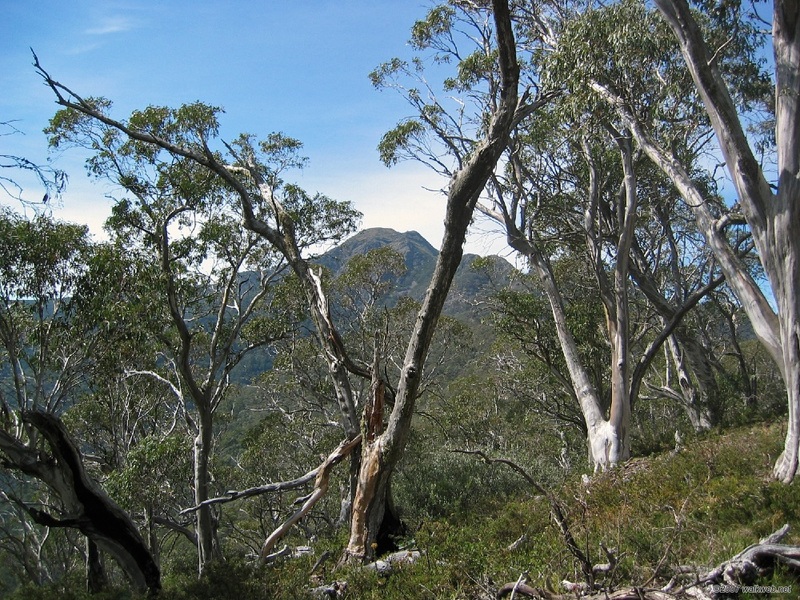 Mt Buller is located about 45km from Mansfield. The start of the walk is a track just off Doughty Road about 5km or so from the turn-off from the main Mt Buller Rd just after Sawmill Settlement, about 30km from Mansfield. 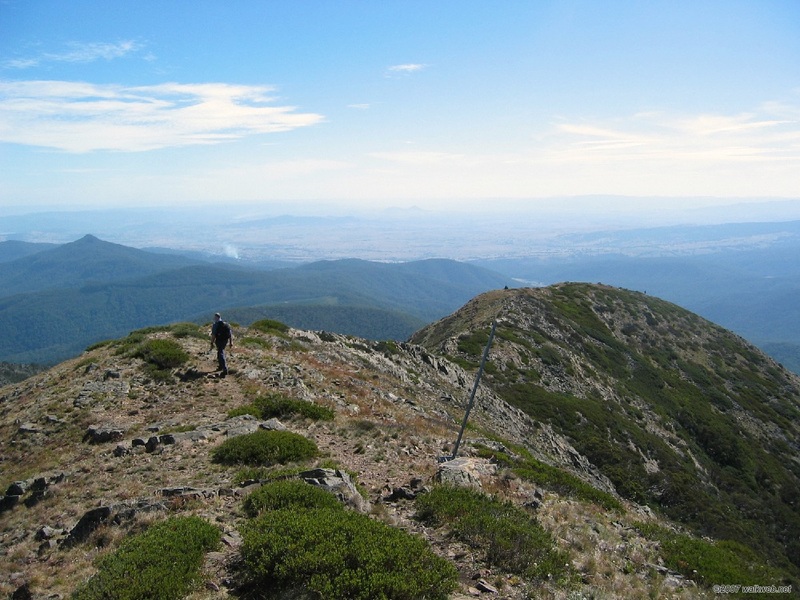 The track climbs to Round Hill before descending into a saddle and then climbing steeply to Mt Buller Summit about 5km from the start. 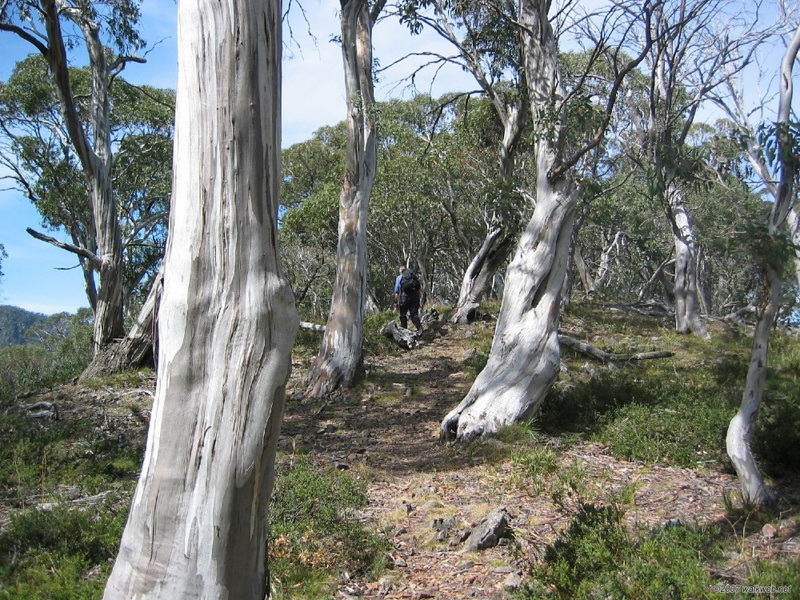 This whole area is snowbound in winter, and like the rest of the Victorian Alps is subject to cold, wet and windy weather at any time. There’s also a bit of scrambling involved on the narrow ridge, so this is not a route for beginners. 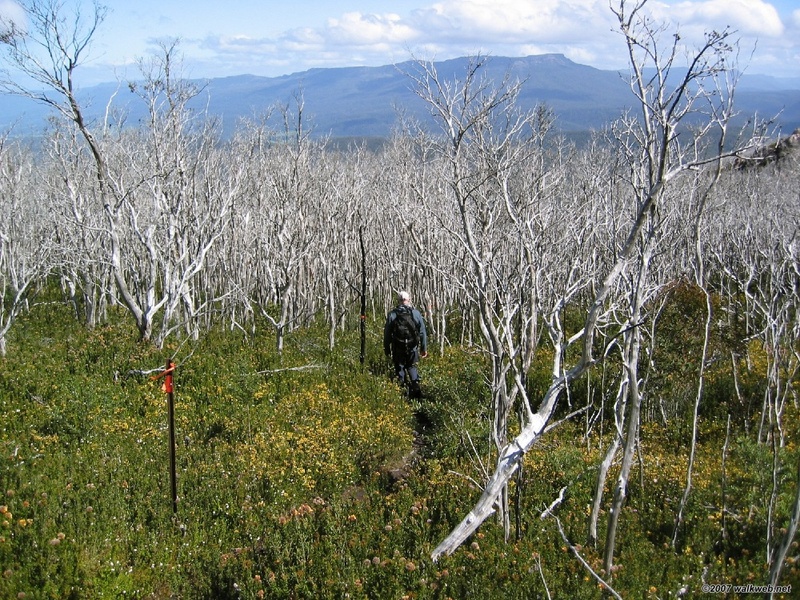 UPDATE: Most of Marysville was destroyed by the devastating Black Saturday fires of 2009. It has since been partly re-built and can be visited again. The Marysville Tourism organisation has a website with up-to-date information. Marysville is a lovely little town about an hour and a half North-East of Melbourne. 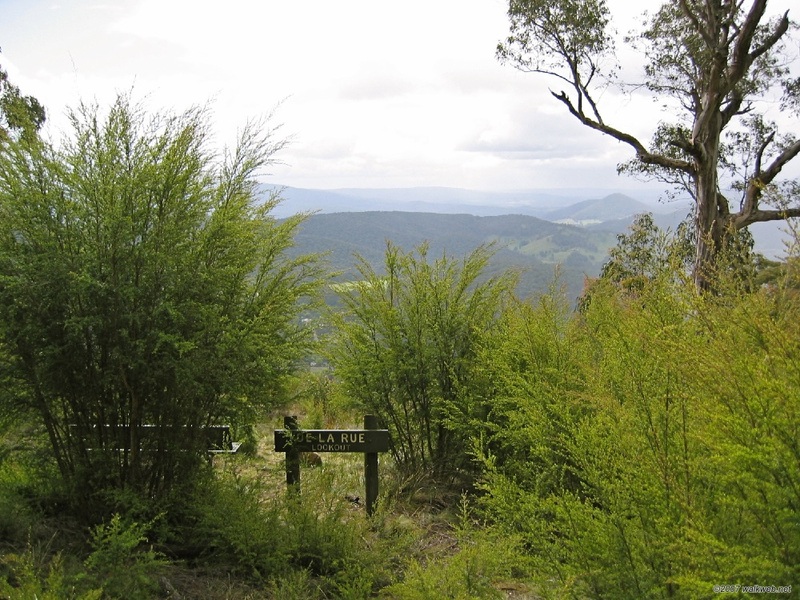 It provides an excellent location for a day-trip out of Melbourne, especially if you take the drive out along the Maroondah Hwy and then over the Black Spur. 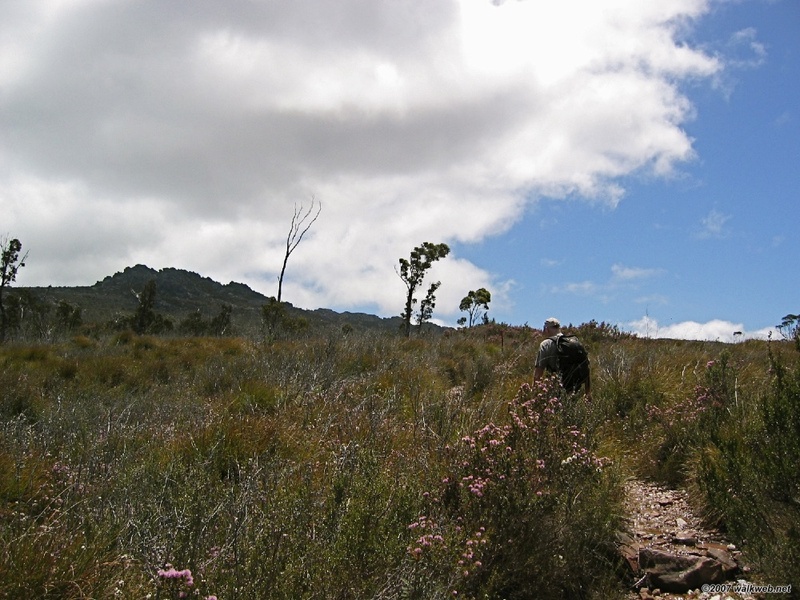 There are some enjoyable day walks in the area, centred on Marysville and the nearby Lake Mountain. 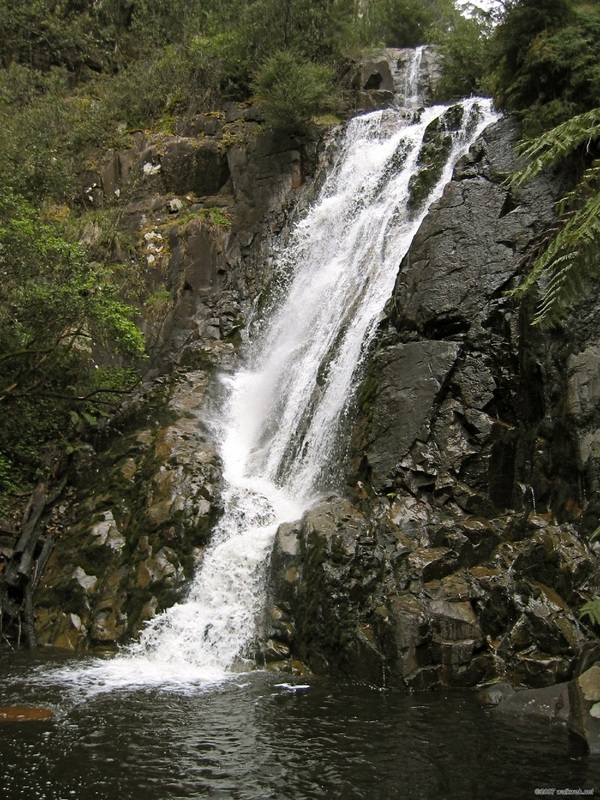 A recommended walk, from Daywalks Around Melbourne, takes in Steavenson Falls and Keppel Lookout – “an energetic walk over the forested hilltops overlooking Marysville. 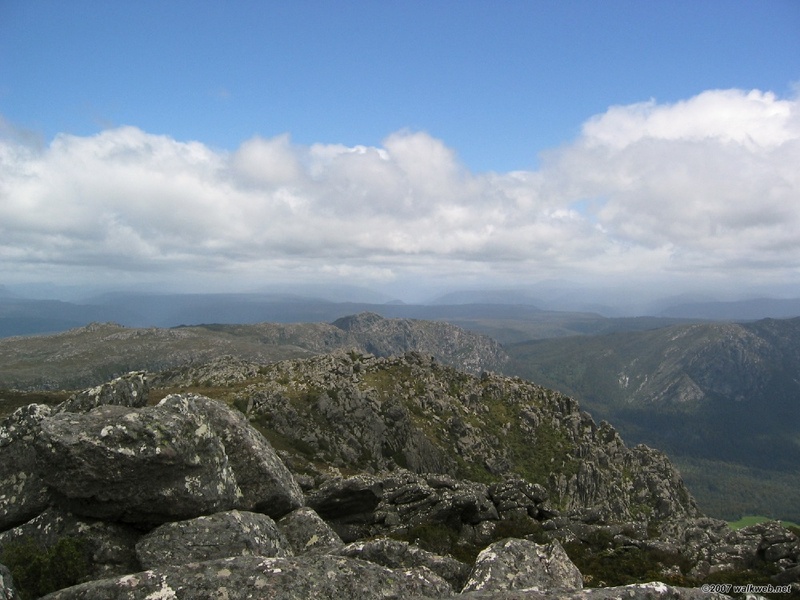 There are sweeping views of nearby Mt Margaret and the Cathedral Range”. 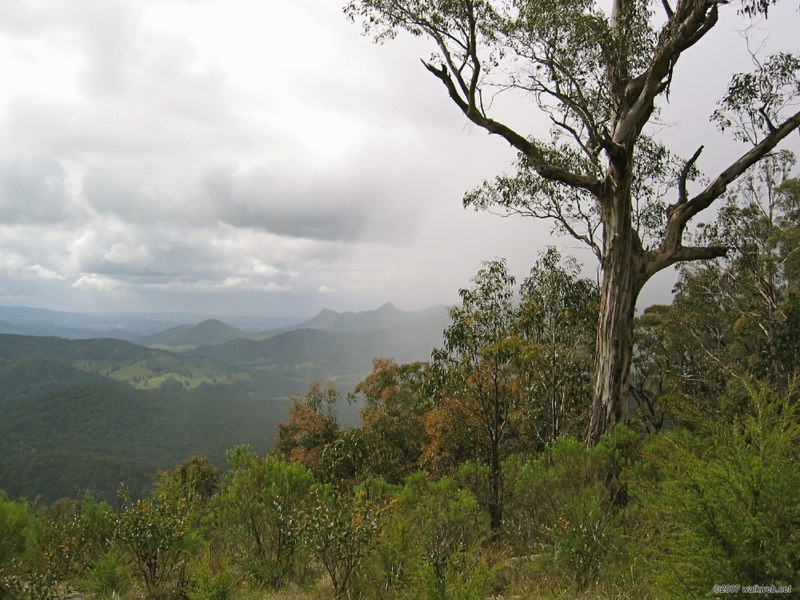 The walk commences from the Visitor Information Centre, following the tree fern gully track to Steavenson Falls before steeply ascending to De La Rue lookout, then passing Oxley Lookout and reaching Keppel lookout. The track then descends back into Marysville. My rating: B+, an interesting walk with variety and good views.